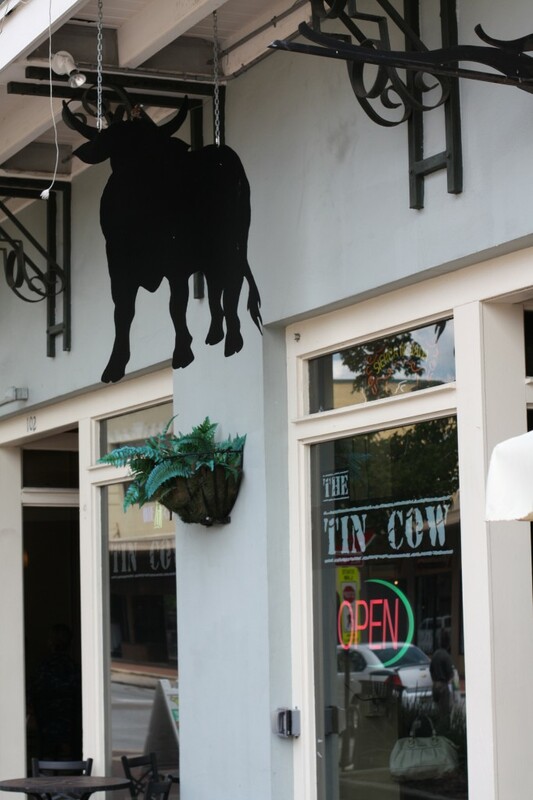 The Tin Cow on Palafox has quickly become one of the hippest places to eat in downtown Pensacola. This place has an electric atmosphere, plenty of cold drinks and homemade bacon infused potato chips. Yes, bacon infused potato chips. But we weren’t here to score the atmosphere or the chips. We were here for one reason; BEEF. And you know our only judging criterion; TASTE. The ordering process at the Tin Cow is clever and fun; diners are presented with a checklist and a pencil. With more than 75 toppings available the possibilities are endless. Sure, traditional options are available; lettuce, tomato, grilled onions, thick cut bacon, etc. But where else can you top a burger with grilled pineapple, kimchi or Spam? The Tin Cow is where you go to craft the custom burger of your dreams (See: fried egg.) But you know our Rules; Only the use of traditional condiments is acceptable. So, how is the “Classic” burger at the Tin Cow? We had to find out. The Classic burger is a 1/2 lb. Angus patty topped with cheddar cheese and served on a kaiser roll. Let’s talk about the kaiser roll; Most PBT judges cringe when they see a kaiser roll- but this one is actually quite nice. The kaiser is soft and holds up to the large Angus patty. The beef is fantastic. Rich in flavor and juicy, it crumbles gently as you eat it. Topped with a perfectly melted slice of cheddar cheese- this burger has everything going for it. Served with fresh produce and traditional condiments artfully swirled across the top bun- this burger scores above average in every category. Others praised the fact that although delicious and satisfying- this burger doesn’t leave you feeling full or miserable afterward- instead- you want another one. The classic burger at the Tin Cow finished with a final score of 7.97 which is enough to put it in first place (for now) but there’s a LOT of Tour left this Summer. So, stop by the Tin Cow. Order the classic burger. It will probably make you the most boring person at your table- but it’s delicious. Let us know what you think. 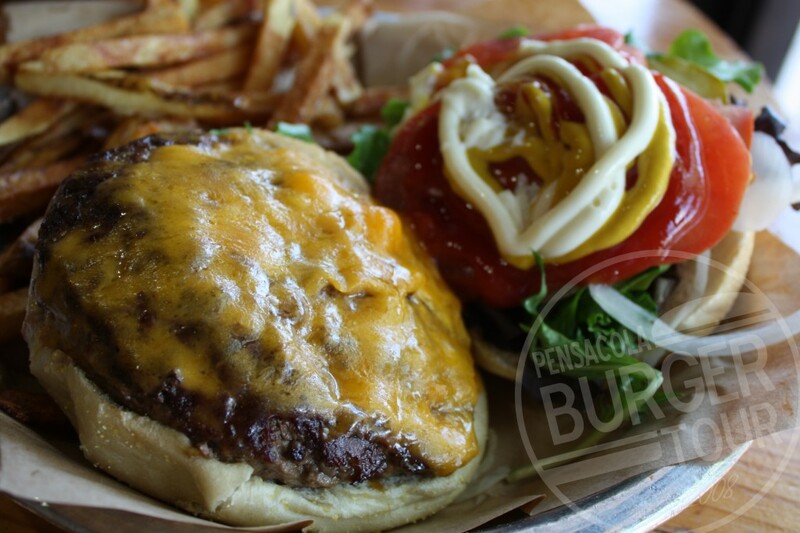 Then check back next week as the Pensacola Burger Tour rolls on.